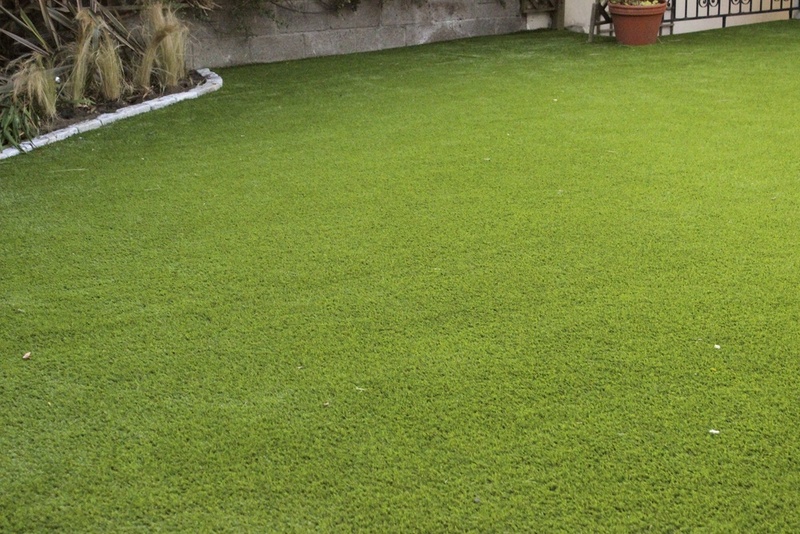 Garden owners requested a complete transformation of their concrete garden with an 'astro turf' artificial grass. After recently moving into their new home clients wanted to make the garden and lawn child friendly with high grade artificial grass. In response to this a contemporary and open garden design was proposed to compliment angular form of garden. Design was planned around central artificial grass lawn. Landscaping included a small patio area outside double doors was paved in 600 by 300mm Silver Granite.